I have a few new students in my second grade after school daycare class. Two of them are third grade girls that like me, which really helps to balance out the energetic, angry second grade boys that can't sit still or behave well. 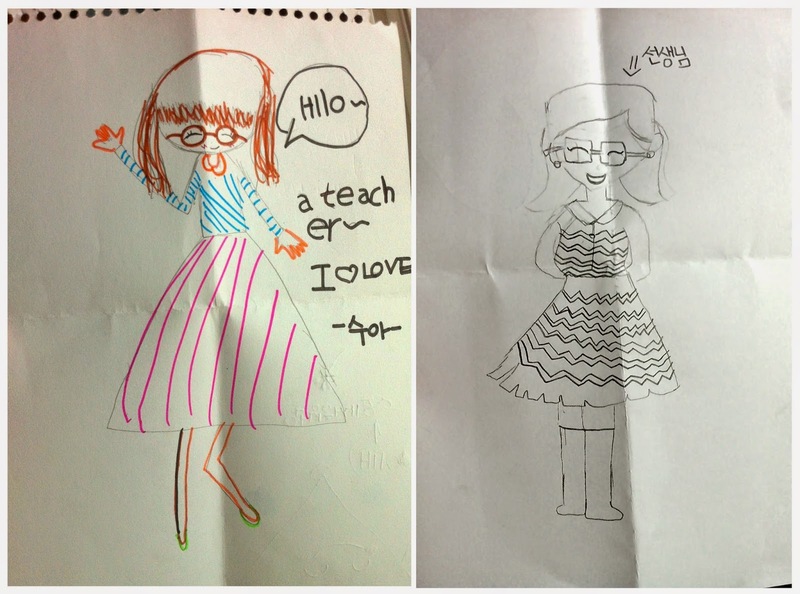 Today two of the girls each gave me a note after class. They really made my day! I especially like that I don't own a pink skirt, nor have I ever worn my hair in pigtails this year. I'm so thankful that these two girls have joined my class, and that they've taken a liking to me. They're so cute, sweet, and smart! Those are keepers! Do you have a place to hang them? I have this folder/binder of sheet protectors that I've been putting various documents/mementos into throughout the year -- so they're in there to stay flat and protected for now, until I'm done moving around!